Posted April 17, 2016 by Karen Pietsch & filed under Blog. As most of you know, inflammation causes a lot of problems in the body. By eating anti-inflammatory foods, your body is better able to heal quicker, as well as combat many inflammatory diseases such as celiac disease, lupus, and fibromyalgia. 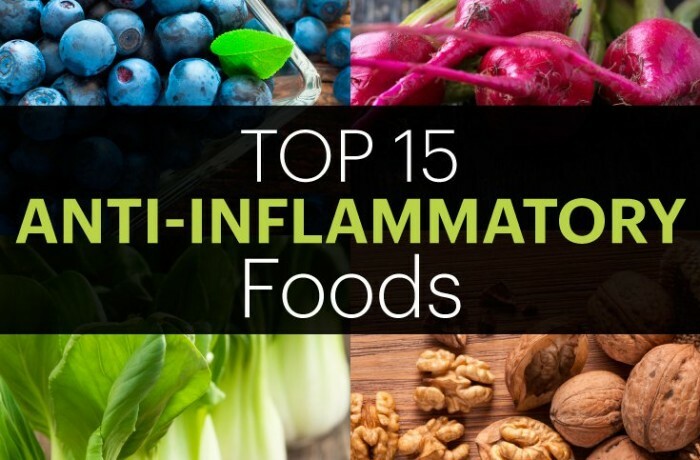 Dr. Axe (certified doctor of natural medicine, chiropractic and clinical nutritionist), talks about 15 of the top anti-inflammatory foods you should be adding to your diet on a regular basis (You can read the whole article here: Top 15 Anti-Inflammatory foods). Adding these foods into our daily diets will not only help alleviate a lot of problems in the body, but will also help with weight loss and an overall feeling of well-being as you cleanse your body out of all the junk you ingest on a regular basis, and provide super foods to give your body a chance to fight inflammation.